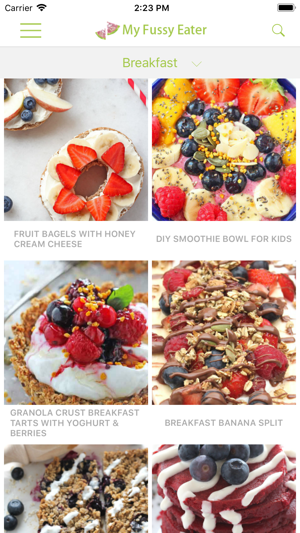 Since the launch of the blog in 2014, My Fussy Eater has fast become one of the leading family food blogs worldwide, and now you can access over 160 of the most popular recipes from the blog on the My Fussy Eater App including 40 exclusive recipes that can't be found anywhere else. As a mum to two young children Ciara, the founder of My Fussy Eater, has created this app with not only busy parents and care givers in mind, but also families dealing with picky eaters or specific food allergies or intolerances. 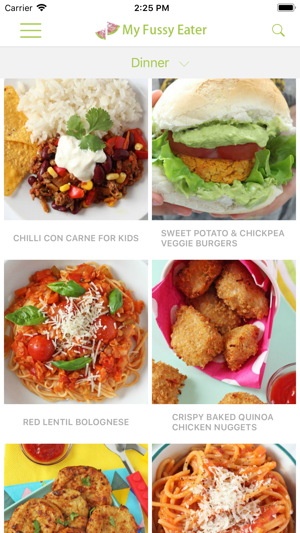 - Over 160 healthy, family friendly recipes using simple ingredients. 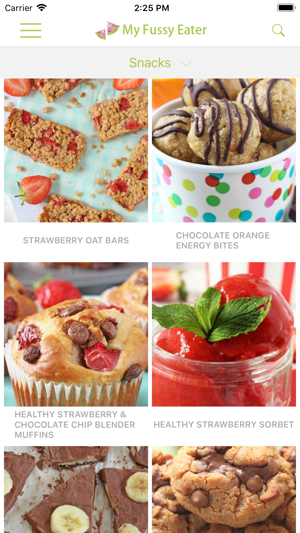 - Filter recipes not only by meal type but also by specific diets such as dairy free/gluten free/ egg free & nut free. - Search function allows you to search not only by recipe but by specific ingredient. - View recipes in standard format or as a recipe card which breaks down the method into step by step instructions listing the required ingredients for that step. - Settings function allows you to view ingredients in either UK or US measurements. - Meal planner function allows you to plan breakfast, lunches, dinners and snacks for the entire family for a whole week. 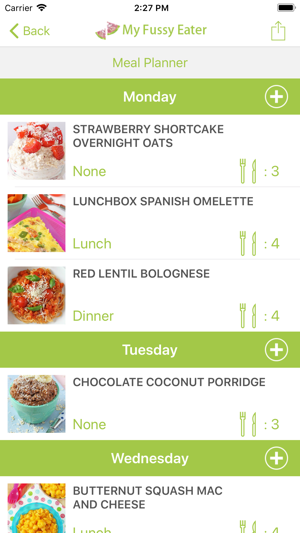 - Shopping List function automatically calculates the total amount of all the ingredients required for your chosen recipes from the meal planner function and can be sent to somewhere else on your phone including your Notes. Everything you need to plan and feed your family in one easy app! This is such a great purchase, no more browsing through recipe books, furiously flicking between pages trying to write a shopping list. This app literally does it for you which saves so much time. And the recipes are delicious and simple. I always struggle to know what to cook my daughters every meal time, as they’re quite fussy so this app has been so handy and very helpful. 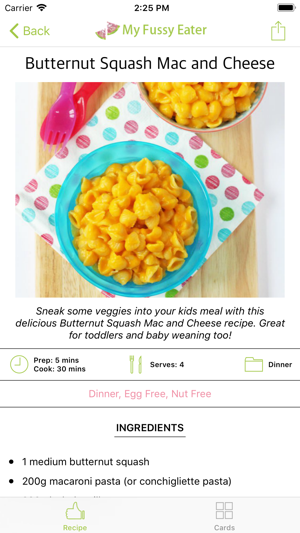 My girls have really enjoyed all the recipes we’ve tried so far and it’s so nice to be able to quickly check an app for some mealtime inspirational!!! I’d definitely recommend.